There’s no doubt about it—moving is one of the most exciting (and stressful) tasks that you can take on. 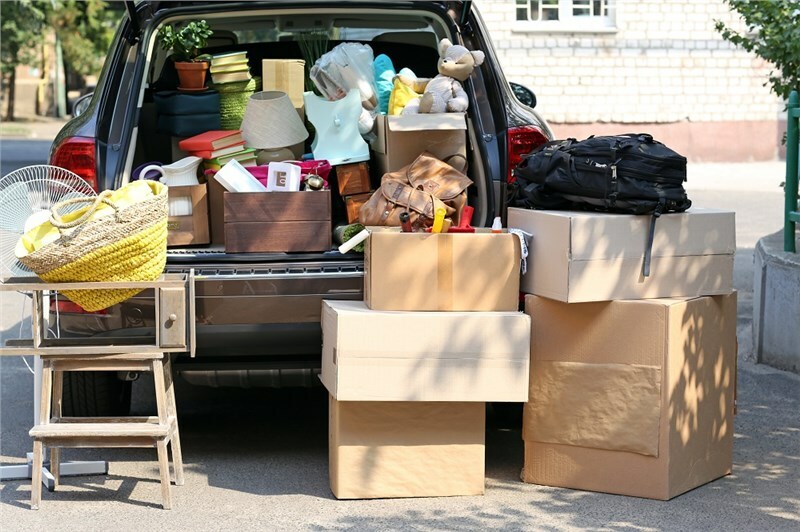 From choosing the right household moving services to coordinating all the details of your Michigan move, the to-do list can seem never-ending as you get closer and closer to the big day.Out of all of the tasks that you need to accomplish before the moving van pulls into your driveway, packing up your home can be the most overwhelming. While professional moving and packing services in Michigan are the easiest way to take the stress out of getting your house moving-day ready, it is still possible to pack-up your belongings on your own! We all know that having moving boxes on-hand is one of the most important steps of the packing process, but what about other handy materials that may be a bit more unusual? Plastic wrap is ideal for wrapping up your silverware drawer to pack into a box, while Styrofoam plates put between your breakable dishes can keep your items safe during transport. Empty toilet paper rolls are also an innovative way to organize the cords to all of your electronics, and utilizing your clothing, pillowcases, and socks as extra padding/wrapping for fragile items is a great way to pack two things at once. Assign each area of your home a specific color, and use tape or markers to label the boxes for where they need to go. Don’t forget—labeling your boxes on the side can also make it much easier to find the specific boxes that you are looking for! If you are like most of us, your closet is a black hole that contains everything from decade’s worth of clothing to old pictures, boxes, and decorations that are collecting dust in the back corner. Instead of stressing over the amount of work that you need to do to get your closet emptied-out and packed-up, start with the clothes! Zip-tie the hangers of your clothing together and slip the whole thing right into a plastic garbage bag. Not only will this protect your clothing from damage and moisture, but you can take them right into your new closet and hang them up when you arrive. Don’t Forget an Overnight Bag! You might end up so focused on packing all of your household belongings in boxes that you forget one important thing—you still need to be able to have your essentials easily accessible once you get to your new home. The last thing that you want to do at the end of a long day of moving is spend hours searching for basic toiletries, clothing, or medication, so avoid the stress by packing an overnight bag for each member of your family. Just make sure that this bag ends up in your personal vehicle instead of piled into the back of the moving van! Whether you need a hand from professional apartment movers to relocate to a new city or you want full-service moving and packing solutions for a large home, Lansing Moving is here to help you have an exceptional experience—right down to the very last moving box. Get more ideas on how to simplify the packing process today by giving us a call, or request expert moving and packing services by filling out our online form for a free estimate!